Long, curly, blonde, layered, dyed… No matter of the type your hair is, it always needs to be taken care of the right way. As it turns out, not all cosmetics suit the strands’ requirements. Hence, is there any, even the merest chance to find this one and only hair product? Yes, there is! And you can be one of the first to discover it! If it was possible, we, the women, wouldn’t part from a mirror but just stay close to it to keep pampering hair continuously: pet it, brush it, curl, change colours. After all, we are the masters of makeovers (including mood makeovers as well). In spite of the fact that a new hairdo always catches these curious and envy eyes of female friends, it will never fully amaze if the hair isn’t conditioned in the right way. You probably think that you can’t have both things, don’t you? A trendy hairdo and neat strands is the combination impossible. But are you sure about this in 100%? Let us put you right. 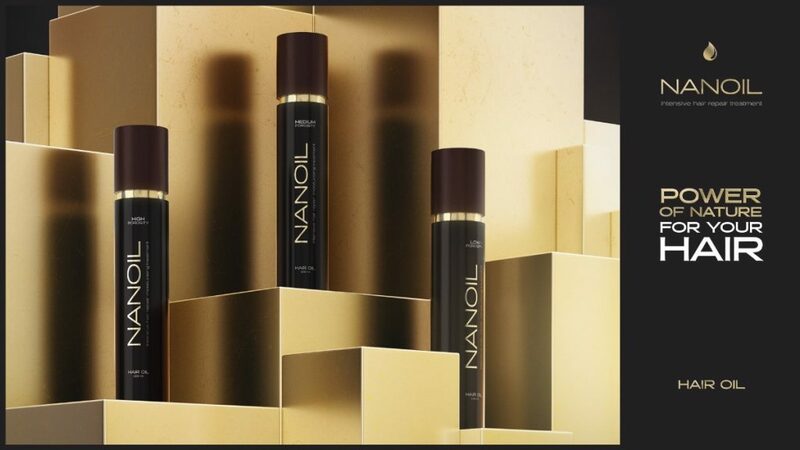 Owning to Nanoil hair oil, your hair will be styled in a way that is in tune with the newest trends. Nanoil hair oil is an exceptional cosmetic. It was created to answer the needs of women having various strands porosities. Choose one out of three products: Nanoil for Low Porosity Hair, Nanoil for Medium Porosity Hair, Nanoil for High Porosity Hair. The unique composition characterizes each cosmetic version, which is finely selected to match requirements of all women. All you have to do is match your hair to a particular porosity type and apply Nanoil to notice your strands condition improvement in just four weeks. How to do this? Enter the official Nanoil website and do a simple quiz. No more damaged hair and irritated scalp! From now on, you’re beginning conscious hair care that focuses on one aim. Nanoil’s action can be described as truly comprehensive. It takes care of hair form the inside and on its surface. Also, the cosmetic conditions hair bulbs and the scalp. It provides regeneration and reinforcement which will translate into the outstanding final effect of the successive stages of hair care. Thanks to Nanoil, strands become silky smooth to the touch, shiny in the sunlight and easy-manageable. No longer will split ends pose a problem for you. Also, frizzy and static hair will be fought back just after the first application of Nanoil. Moreover, this cosmetic provides strands and the scalp with the maximal nourishment. It’s possible due to three versions of the oil, each of them matching a particular porosity type. On the other hand, there are elements that connect all Nanoil oils, and these are UV filters as well as smoothing and gloss-delivering substances. Furthermore, the product features ingredients accelerating hair growth as well as counteracting its premature falling out and greying. Using Nanoil is plain. Press a dispenser a few times, distribute the oil onto the palm of your hand, smear it among your fingers and apply to the strands. You can keep applying the product before or after hair washing. These are your preferences that determine the use of Nanoil. We know one thing: Nanoil will serve all hair types well. P.S. Lend Nanoil to your boyfriend. This cosmetic will take care of his beard and moustache.